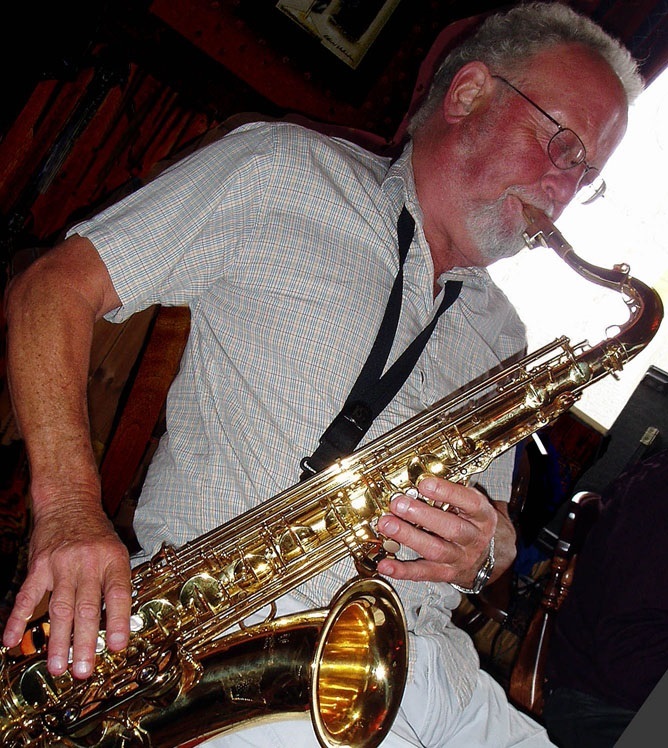 Over the years I've seen Derek perform alongside and duet with many of the jazz world's 'A list' reed players, mainly when he was with Mike Durham's West Jesmond Rhythm Kings. John Barnes, George Huxley, Matthias Seuffert, Monty Sunshine, Frank Brooker and so many others - all 'world class'. In my opinion Derek was up there with the best of them. In his 'day job' he was a meteorologist at the Newcastle Weather Centre and regularly broadcast on Radio Newcastle. I remember travelling with the WJRK's to the Isle of Bute jazz festival. En route, Derek stood at the front of the coach with his weather charts and gave a formal, detailed weather forecast for the weekend ahead - hilarious! Happy memories, Derek! R.I.P. I've posted the last recording I did of Derek (in the grand parade on the final day). on numerous occasions, and also with the maine street jazzband.he was a superb musician, and a thoroughly nice guy, I don't know whether he drove or not, but I gave him a lift home as well from time to time! Sadly missed.yet another of us playing in the big band up there! and was also a very fine musician. All of us here in Hong Kong , musicians and listener's send our very heartfelt condolences to Alice and the family. R.I.P. Ned Kelly's Last Stand Hong Kong. Derek Fleck was my father-in-law. On behalf of the family, I would like to say thank you for all the kind words about Derek.